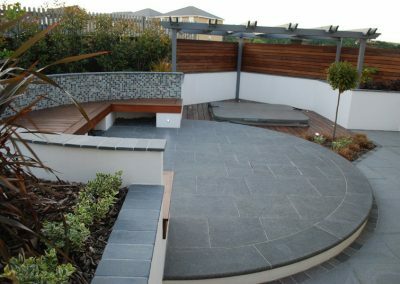 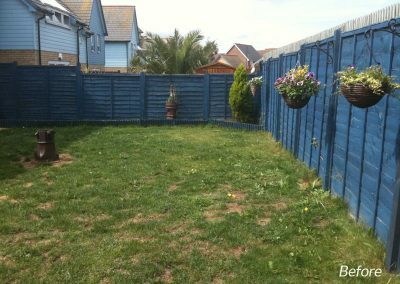 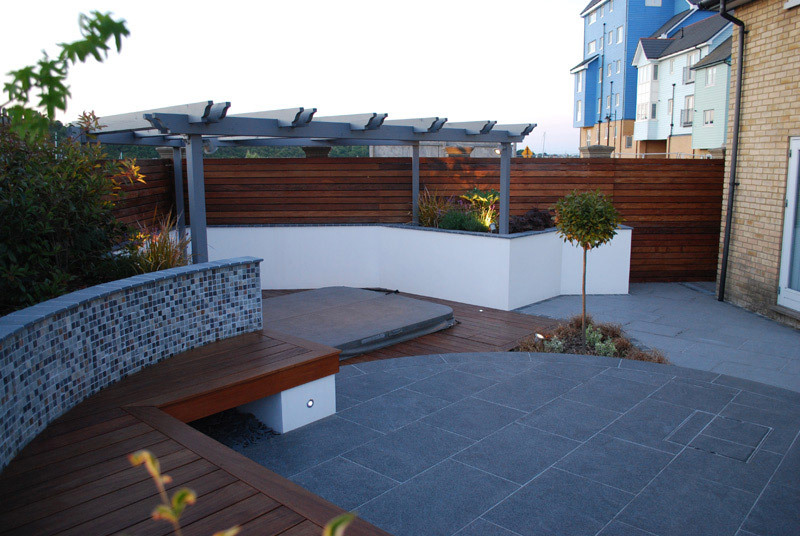 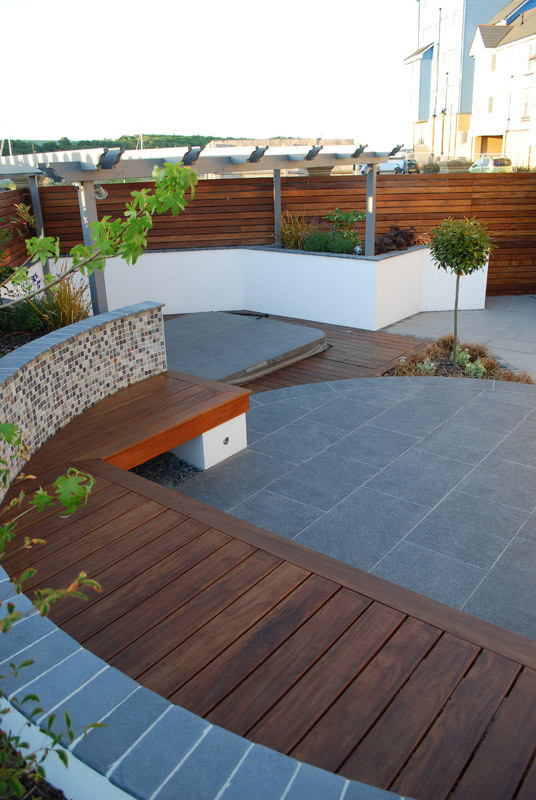 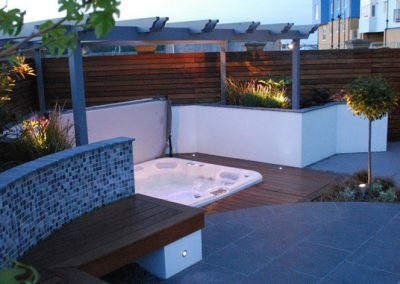 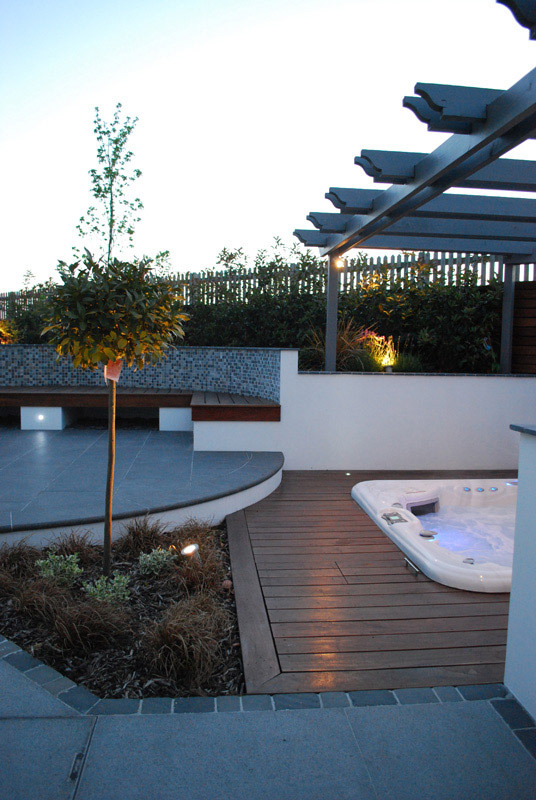 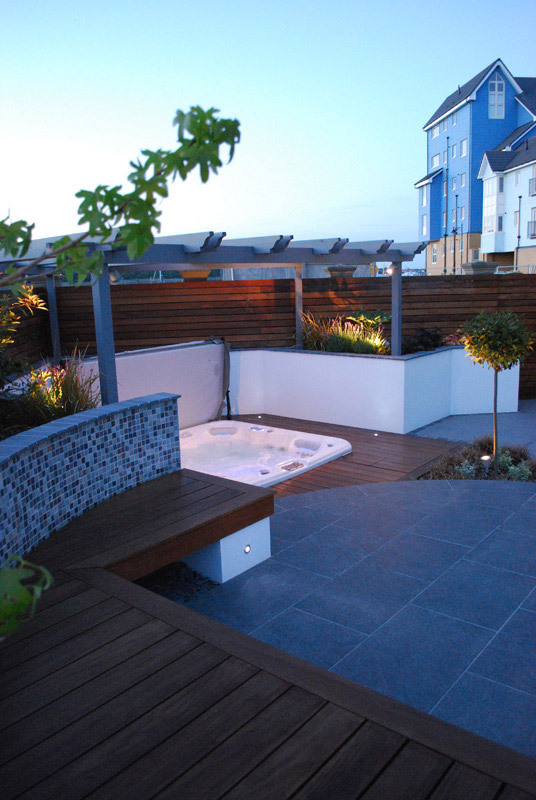 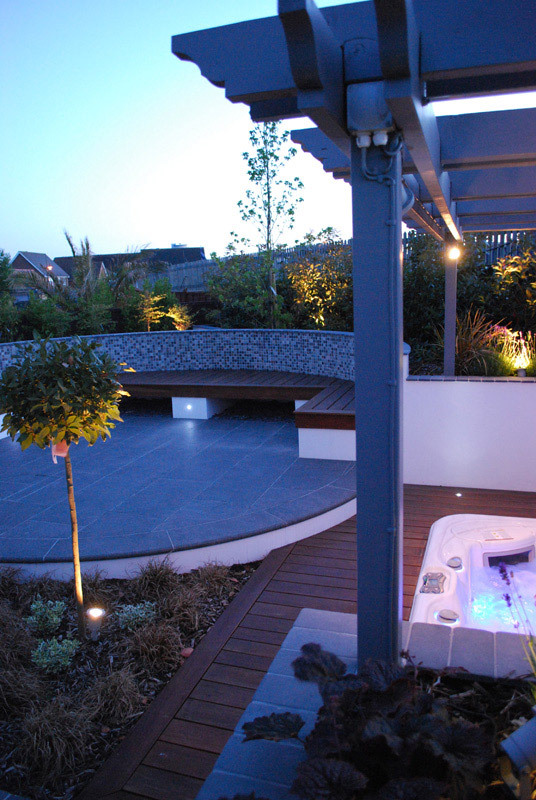 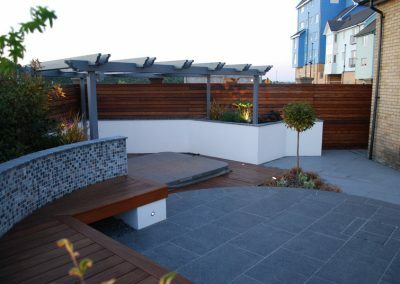 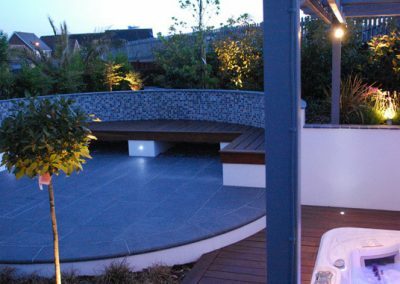 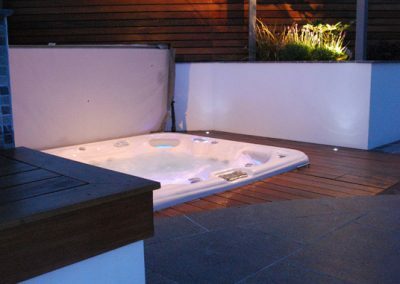 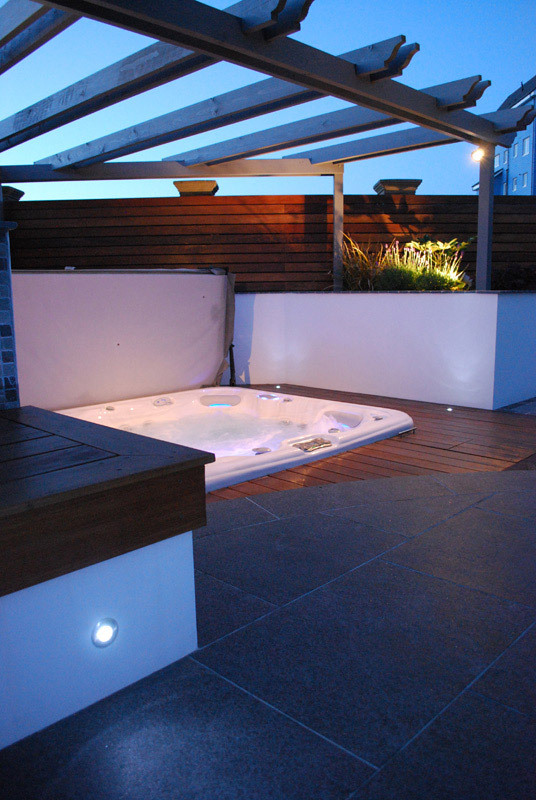 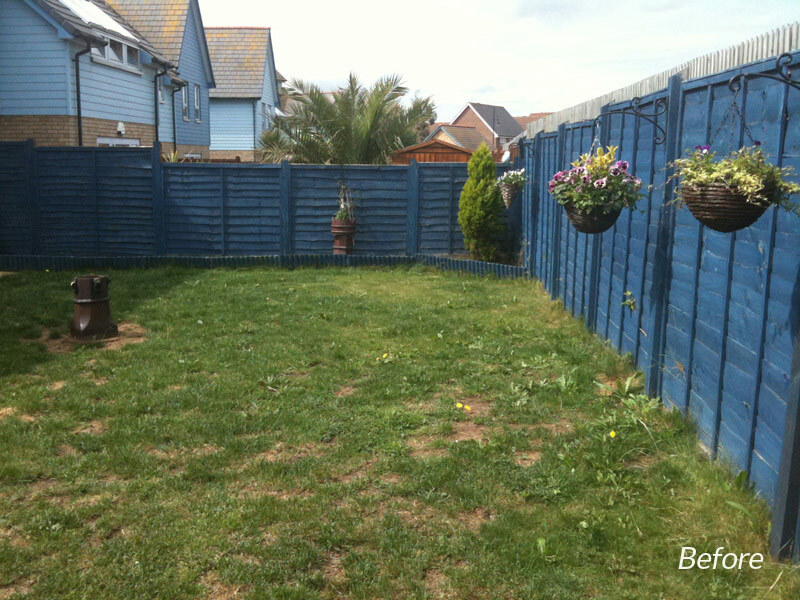 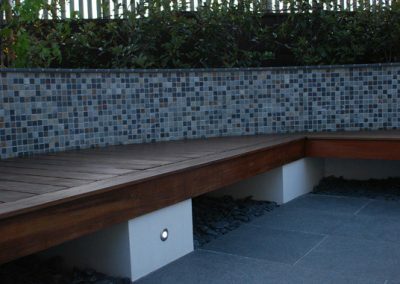 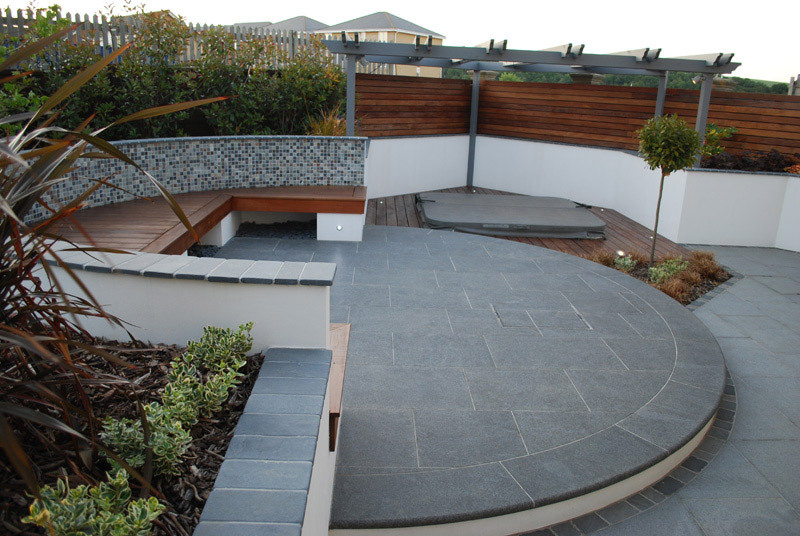 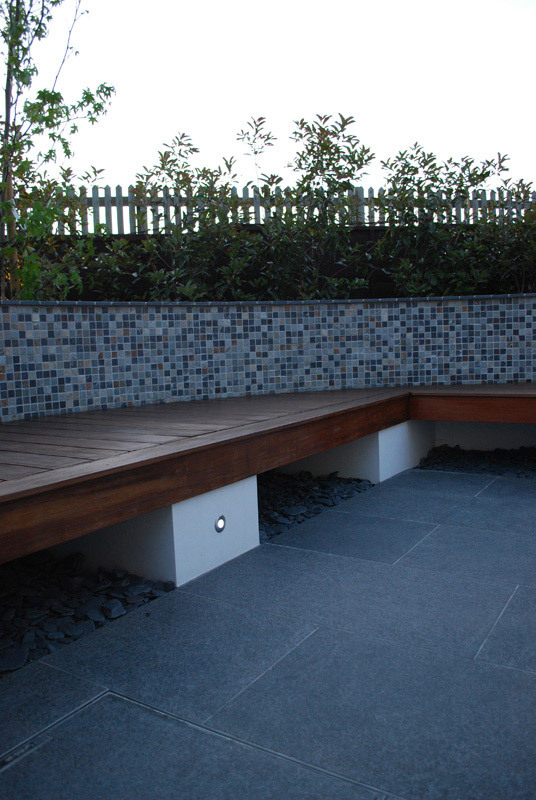 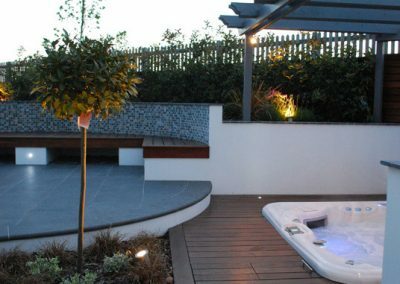 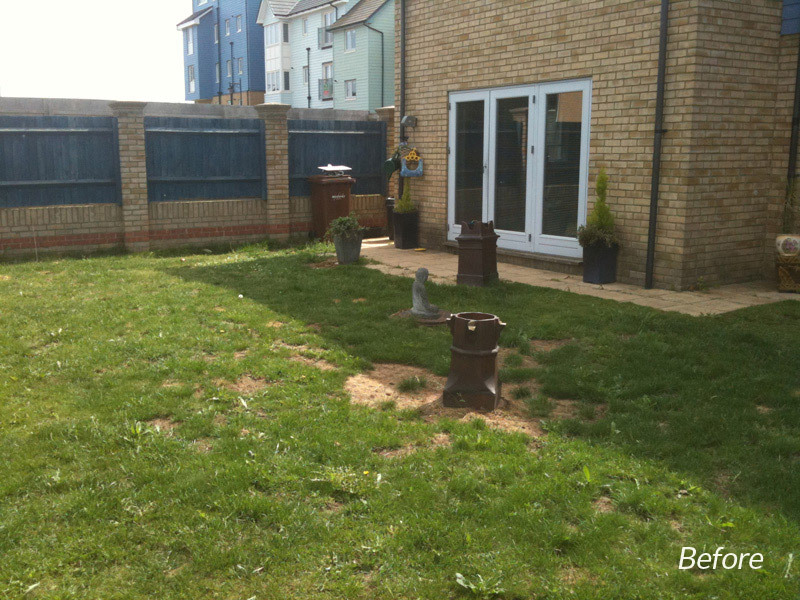 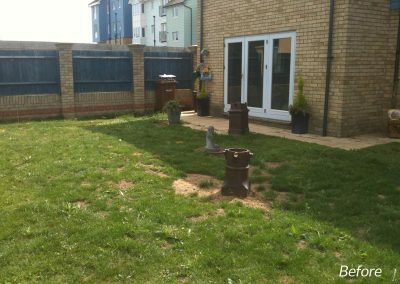 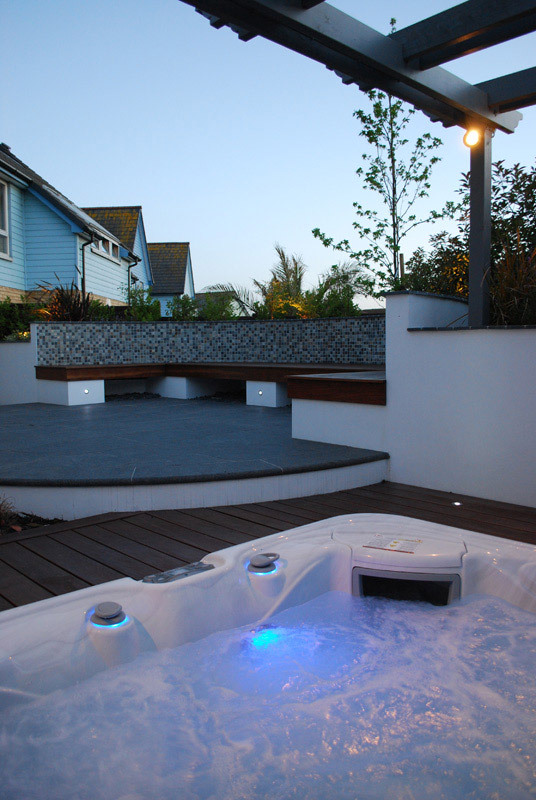 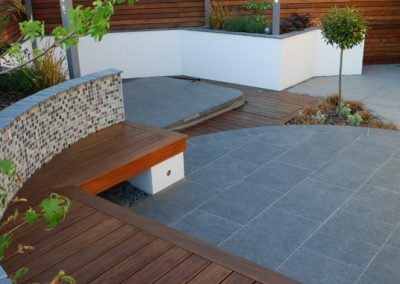 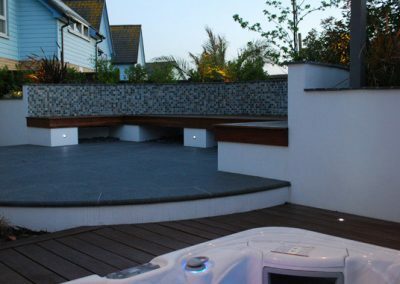 The brief here was to transform a standard development garden into a simple minimalist (style) entertaining space which included sinking a hot tub into the ground. 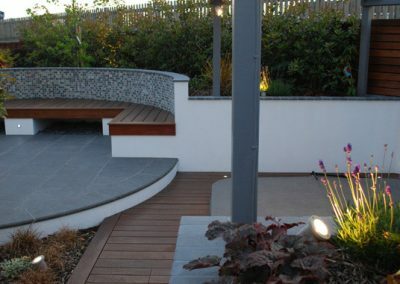 The clients opted for no grass to keep maintenance to the minimum which enabled me to design their socialising area using big bold shapes for maximum effect. 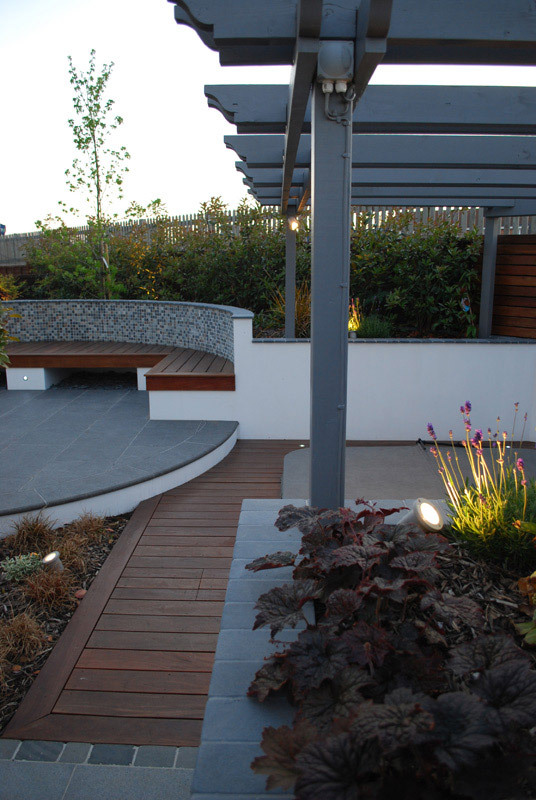 Raised rendered walls/ hardwood oiled cladding form the backdrop to this scheme with low maintenance planting areas designed to create intimate future screening.